A traditional 16th century freehouse, unobtrusively modernised to accommodate a small, first-class restaurant and a warm and welcoming bar area. Located in the tiny hamlet of Compton in Surrey, The Withies Inn dates from the 16th century, and stands in unspoiled country on Compton common, just below the Hog's Back and on the edge of Loseley Park. 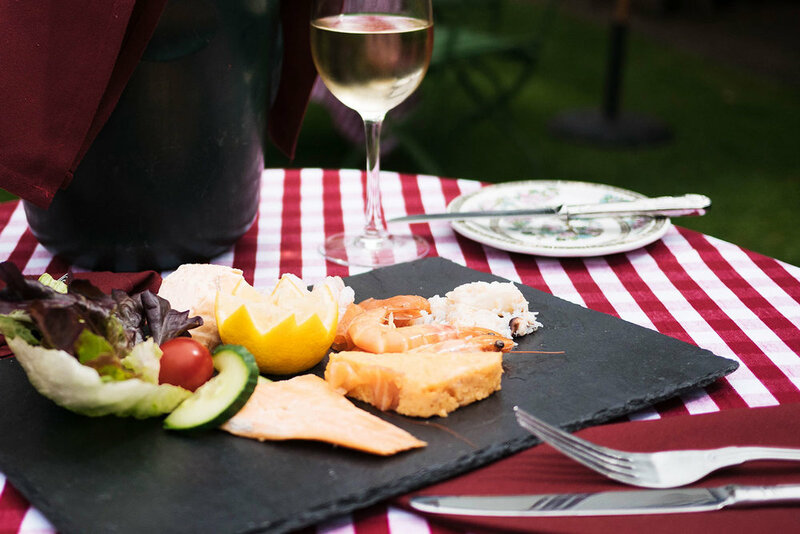 The Withies Inn is extremely popular and offers a classic British dining experience within an attractive and traditional english setting. When weather permits an attractive Pergola allows meals to be eaten out of doors in the delightful garden. Enjoy a hearty bar snack in our delightful bar area or indulge in a full meal from our extensive restaurant menu. All our dishes are prepared to order and combine locally sourced, quality ingredients to create dishes that have continued to delight our guests for many years. Our inviting and experienced team enjoy catering for all our guests individual requirements so whatever the occasion we look forward to welcoming you. Book a table in our well known restaurant for a quintessentially British dining experience.